Art is a democratic form of expression on the convoluted news around politics today. 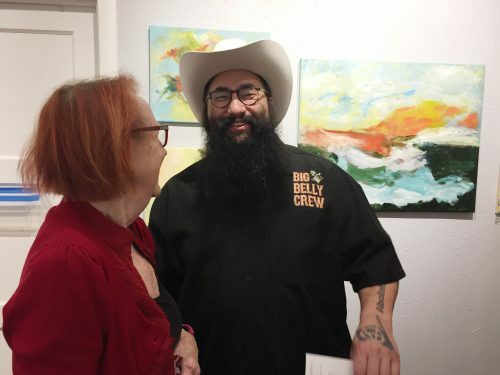 Utilizing both traditional, and non-traditional mediums, artists all over the nation have been creatively expressing distaste or excitement on the happenings of national and international politics. This exhibition will showcase voices of artists who refuse to be silent and actively engage in the citizens’ conversation. 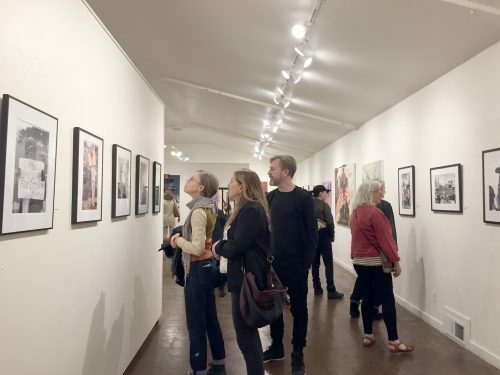 Spoken/Unspoken is part of a countywide collaboration that brings together eleven venues across Santa Cruz County under a unifying theme. Please go to www.spokenunspokenart.com for a list of venues and exhibitions. 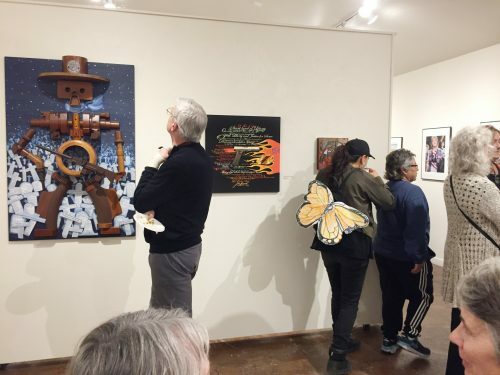 This collaboration was generouslyfunded by the Community Foundation of Santa Cruz County. 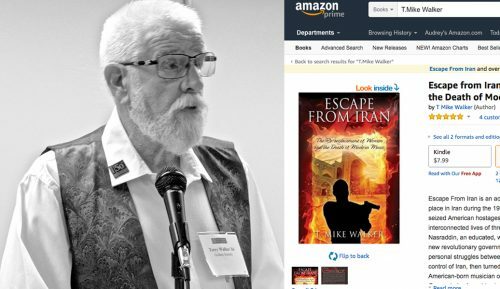 Click on the photo to T.Mike’s book, “Escape from Iran: The Re-Enslavement of Women and the Death of Modern Music” available on Amazon. 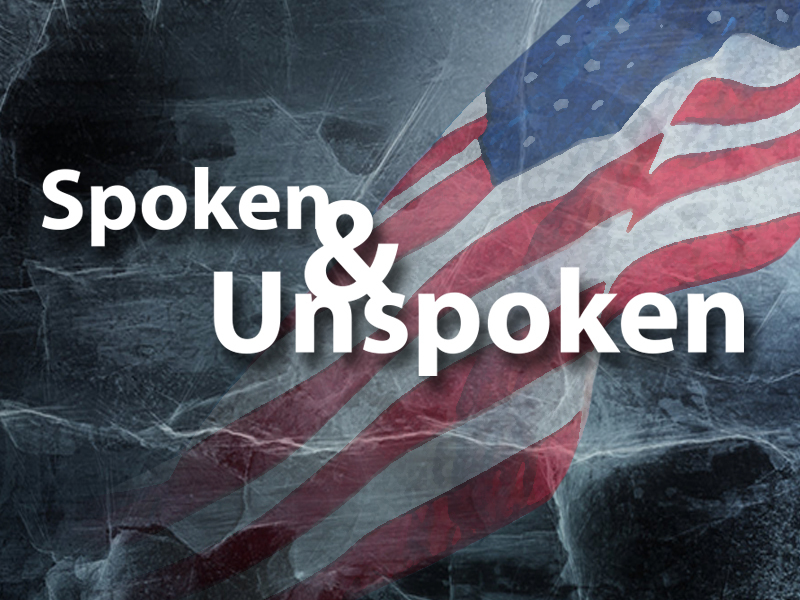 After experiencing the Spoken & Unspoken Exhibition, I hope that question will be answered–even if you don’t agree with what some of the Artists said! Through their skills and craft, their art will stop you in your tracks, make you go back and look again, stir a feeling, make you think. strikes sparks from our collective soul. Such expressions take moral and physical courage to create. Because all too often Political Art, whether spoken or unspoken, costs them their jobs, their country, their lives! Spoken & Unspoken is more than an experience. Using body language, color, tone, mood, medium, materials, and creative magic, the artists contained here-in speak powerful images reflecting some of the most painful Truths of our Time.